The Broncos have a season starting in less than 100 days, and with a long training camp and season upcoming, there’s plenty of chatter as to what player might shine better than the rest as the teams Most Valuable Player. An article out on NFL.com talks about just what player they think will be the MVP for not only the Broncos, but for each team around the National Football League for 2018. 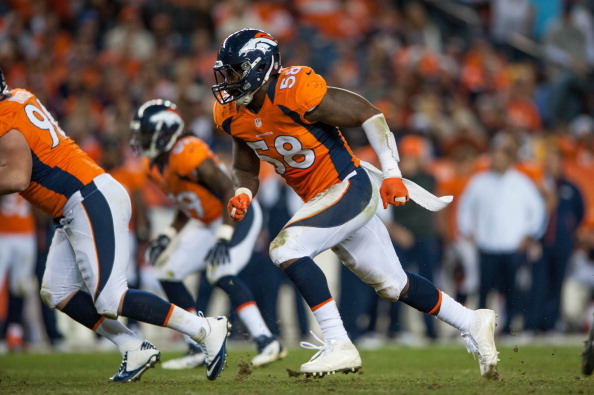 The Broncos MVP – author Dan Hanzus is going with LB Von Miller, a very good player that he sees having a big year in Denver this upcoming season. Broncos defensive coordinator Joe Woods said he “nearly passed out” when the Browns passed on edge rusher Bradley Chubb in April’s draft, a decision that allowed Denver to grab the N.C. State dynamo with the fifth pick. Von Miller called Chubb “Khalil Mack and Von Miller put together”, which is about as high as praise can get. But the rookie won’t be our MVP pick in Denver. It’s Miller, who stands to benefit greatly from the sudden presence of another game-changing menace near the line of scrimmage. If Chubb lives up to the hype, it could free up Miller to go gonzo in 2018. What do you think of this pick? Do you agree? 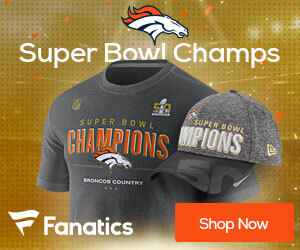 Leave a comment if you disagree with what player you think will be the Broncos 2018 MVP. I agree, but there are several players that could push for that honor. Keenum,for sure. Royce Freeman could very well turn into a bellow RB. Chubb,DT, Sanders. Also Chris Harris. The Broncos are loaded with talent and potential this Season.